Chairman of the Student Loans Company, Christian Brodie, offered his resignation today but the government weren’t having any of it. It was revealed last week that his company have been using fraudulent methods to panic students into paying back loan instalments. However, the government say he should not be blamed for using a tactic that has been employed for nearly 10 years, since he has only been at the company since February. 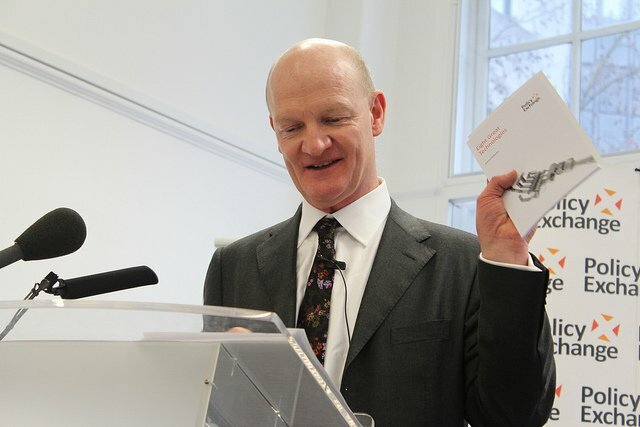 Universities Minister David Willetts argued that it would be unfair if this allegation got in the way of Brodie doing his “very important” job at the SLC. Brodie’s ‘clear and unequivocal’ apology to ministers last week was apparently enough to make us all forgive and forget about the SLC’s use of the ‘Wonga-style’ tactics to bully students into paying back loans. 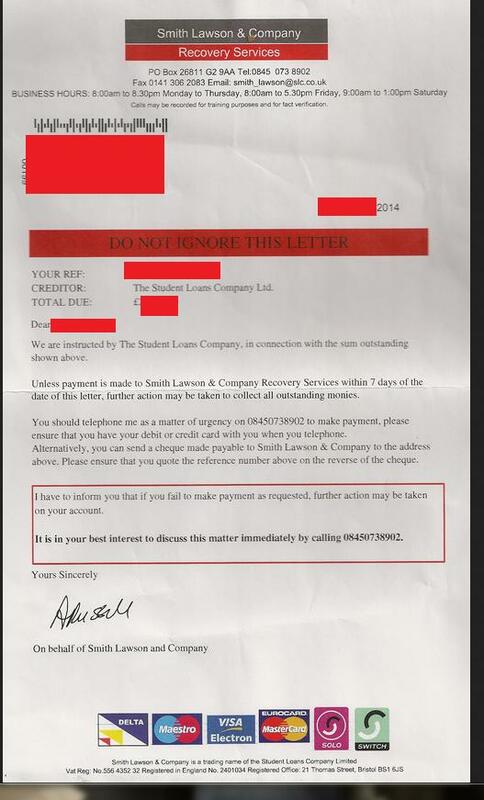 This all follows revelations from last week that the SLC have allegedly invented a fake firm, Smith Lawson and Company Recovery Services, in order to send thousands of students threatening letters. The warning letters sent by the fake legal firm are designed to intimidate graduates, and are emblazoned with a red banner which reads: “DO NOT IGNORE THIS LETTER”. The phoney letters give the impression that they are from a separate debt-collection agency, and read: “We are instructed by our client, in connection with the sum outstanding shown above”. They even include a fictional postal address, email address and telephone number. “Smith Lawson and Company” then go on to demand payment within seven days and include a threat of legal action. The letters from the non-existent debt recovery service use the same threatening language that private debt collectors and solicitors use to chase overdue payments. Graduates received these letters even if they didn’t meet the salary requirements to start sending their hard-earned cash back to the SLC. According to The Guardian, about 309,000 people received letters, which were sent to individuals who had failed to respond to several contact attempts by the SLC. This tactic has been in use since 2004, and was approved by ministers and the SLC as a ‘low cost alternative’ to referring grads to debt collection agencies. Though the company refused to accept Brodie’s resignation, a new four point plan has been implemented. Any new debt-collection policies must be cleared by the SLC board and government ministers – even though these were the same agencies which came up with the plan in the first place. “It is important that the government recover taxpayers’ money, but it must do so in a way which is fair,” Willetts said.